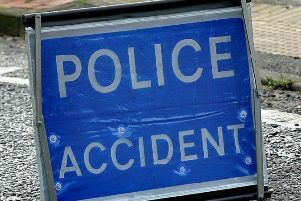 A 39 year-old man suffered serious head injuries after his blue Kawasaki motorcycle left the road and collided with a lamppost in Bucknell Road, Bicester at 7.30pm on Sunday. The man was taken to John Radcliffe Hospital, Oxford where he is still undergoing treatment. Police are appealing for anyone with any information about the incident to call 101 or contact Crimestoppers on 0800 555 111.